New changes for dual citizenship with Italy went into effect on December 4, 2018. Ones of these changes include linguistic criteria. I can’t tell you how lucky I feel to have received my citizenship prior to this change. Of course, I want to learn the language but I want to do it on my terms. People applying for citizenship by marriage or residency must prove that they have reached the B1 (QCER) level of Italian language knowledge. 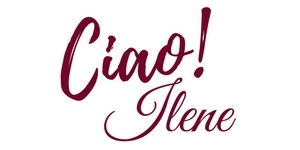 There are two main ways for applicants to prove their Italian skills. Either they obtain a school qualification or they get a certificate from a school that is approved by the Ministry of Education. The qualification can also be by the Ministry of Foreign Affairs and Ministry of Education. Another new change is the application fees have increased from €200 to €250 for citizenship acquired by marriage or naturalization. The amount of time to process and finalize an application has been extended from 18 months to 48 months. Of course, this is funny because it took us 36 months to finalize our application and receive our citizenship. The law when we began in 2015 was 24 months. Of course, none of this will make a difference if you have the desire and determination to acquire dual citizenship with Italy. For those that know our story with all its ups and downs, I will say it is worth the journey. Easy to say now that we have our citizenship and living in Italy for a year to determine if we want to retire here. One reason we don’t put step-by-step directions on how to obtain citizenship is the fact that Italian law is always changing. These new criteria could also be incorrect in a few months. It is always best to seek the advice of an Italian immigration lawyer and also consult the proper Italian websites and consulates. We know these new criteria will affect so many people that will come after us in this quest. Best advise I can give is be patient and allow for the bureaucracy you know will be part of your journey.